With school out and summer break in full swing you’ve probably seen a bunch of different summer bucket lists floating around Pinterest and Facebook. I think they’re fun reminders to get out and do fun things as a family during the summer, but some of them are a little overwhelming to me. We probably won’t accomplish 100 different activities this summer–we’re fine going to the pool and playing in the backyard most days. 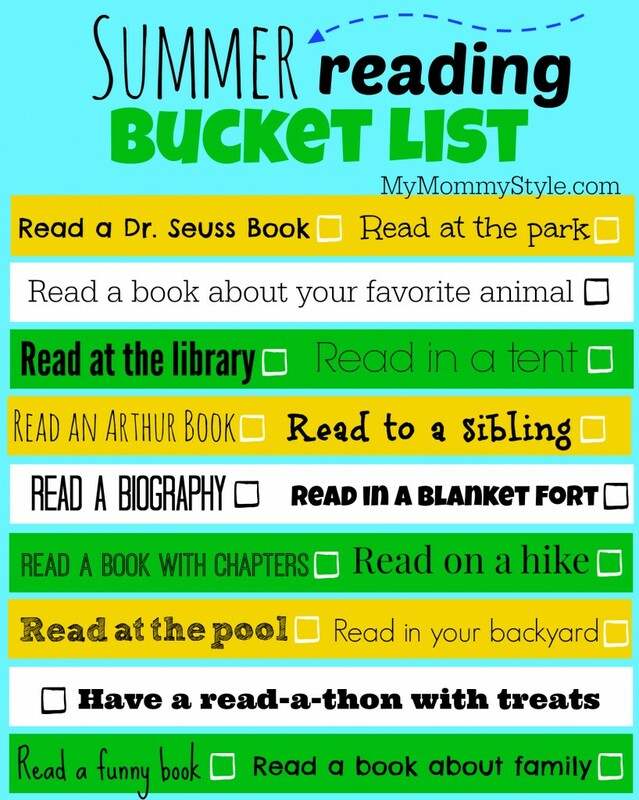 Well, I have been trying to figure out how to keep my kids motivated to read this summer and decided it would be fun to make a summer bucket list, but make it all about reading! I tried to keep the list simple and something that can be accomplished. It will give you ideas of things to do together, but also things you can do on a lazy day at home. Honestly, it doesn’t really matter where you read, the point is to just READ. I thought this might be extra motivating for the little ones though. I hope you have fun with this! Click here for the printable version of the summer reading bucket list. If you want some GREAT ideas for chapter books to read together this summer (and all year round), check out these two posts dedicated to the best chapter books to read aloud with young children. 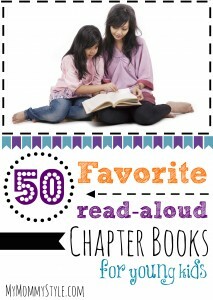 And here are 10 tips to help your child love reading! Would I be able to use your summer reading bucket list for my library website?